The winner of the May 2014 Debut Author Challenge Cover Wars is Path of the Dead (Hungry Ghosts1) by Timothy Baker with 37% of the votes! Path of the Dead was published by Ragnarok Publications. Thank you to everyone who voted, Tweeted, and participated. 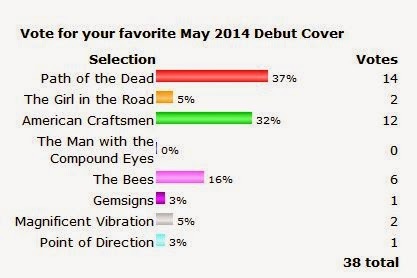 The 2014 Debut Author Challenge Cover Wars will continue with voting on the June Debut covers starting on June 15, 2014. 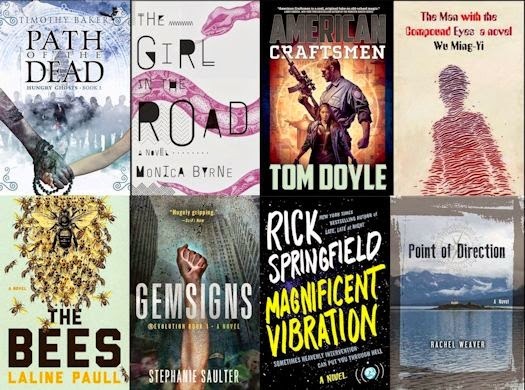 Look for the list of June's Debuts on June 1st. Wow. I'm honored. Great competition there!